Last week was an exhausting week for many reasons that had absolutely nothing to do with diabetes. Yet surprisingly, my blood sugars have been cruising along at the best they’ve been in weeks. 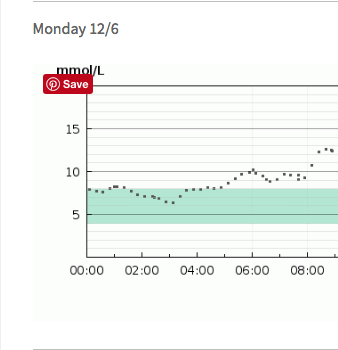 I’ve been struggling with my overnight basal rates in recent weeks. There have been some uncomfortable overnight lows, and then there have been other mornings where I’ve woken up frustratingly high. Alarms have been going off 2 or 3 times each night, instead of the usual one. 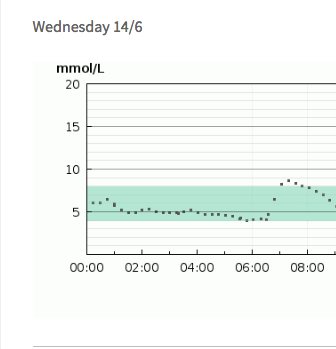 Things have felt rather inconsistent of late, so I decided to slap on a new FreeStyle Libre sensor last week to try and nut things out. I think I have finally cracked the mystery of the varying overnight basal needs. If I go to bed sitting in the 7s or 8s, my overnights look something like this. Looking at the gradual rise from around 4am, I’d be ready to make a basal change. But when I go to bed sitting in the 5s or 6s on the same basal rate, my nights end up looking like this. So it seems that my insulin sensitivity is far better when I go to bed in the 5s and 6s. I cruise along much more smoothly during the night, and my blood sugars get off to a much better start when my day begins in range. So I’m now trying to be a little more bolder with my corrections at bedtime, in the hopes that I can replicate these levels and a decent night’s sleep more often. Diabetes has so many little intricacies. It always keeps me on my toes, and I’m still learning new things about it after seven years. Oh if I only knew an answer, any answer. I have been fighting stuff like this for years. My advice? 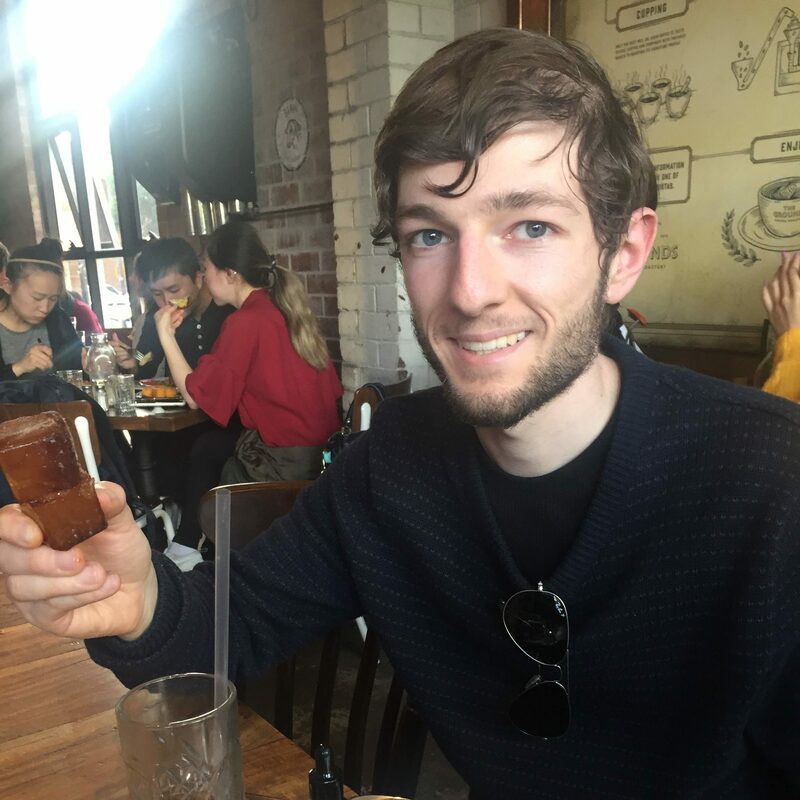 Go 12 weeks with no food ever. Hey I never said it was good advice. In fact that down right lousy advice, but it is the last thing I have not tired. In the meantime I am having popcorn at 9PM and enjoy the 3 AM finger stick correction.